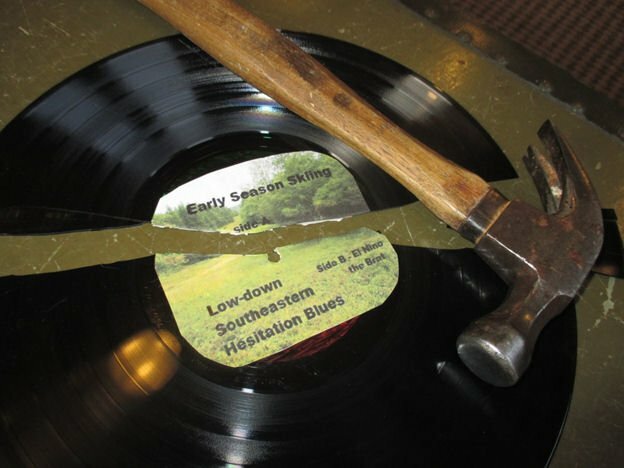 The discussion of the start of our southeastern ski season was starting to sound like a broken record skipping on the same bad song. Being a superstitious sort, I decided to break an actual record in effigy. And being very thorough, it required first forming a band and starting my own label. But gestures are important and now as you read the various articles here, brimming with news of more open slopes; I can only conclude that my sacrifice was successful. 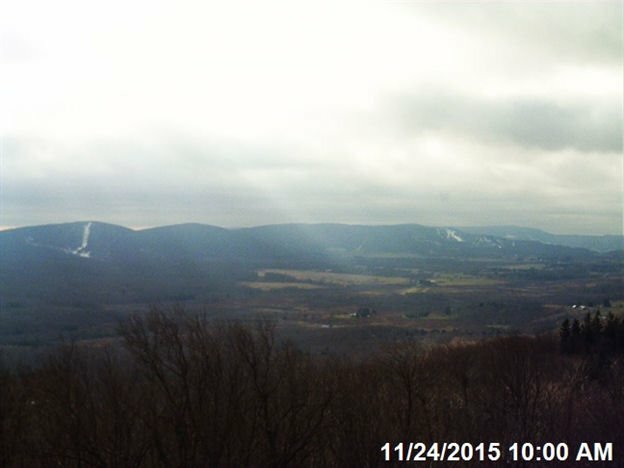 Live webcam capture from earlier in the day, TODAY, November 24, 2015. WOW! Right? Well, this is the Pacific NW right now and as for us – I think we all know how we stand in terms of any natural coverage. Good heavens, what hubris. I’m fairly well versed in tragedy as a dramatic form – and yet I shamelessly provoked fate. Speaking of hocus pocus I would like to express some opinions on the phenomenon of El Nino. I have decided this is not a weather pattern so much as an anthropomorphic metaphor dressed up in meteorological finery and really just meant to taunt us. El Nino is the spoiled kid down the block whose parents gave him a mini bike but he won’t let anyone else ride it; he’s the one hoarding all the cookies and donuts; in short El Nino is a brat and paying attention to him will only spoil him further — best to just ignore him until he starts to behave. Despite the bad start to our season in terms of non-cooperative weather patterns – I appreciate the efforts and the fact that we can open with man-made snow. In fact, I hope to take advantage of whatever is still open late this week. North Carolina’s snowmaking crews are (again) getting it done and I doff my beanie to them, but this season won’t quite BE THERE for me unless and until I can get into the woods a little. I guess I could sneak up and point one or two guns into the bordering trees but this would be selfish and might bring further bad luck. My mood isn’t helped by the fact that I have to dig out some snow gear today for my son who will be snowboarding at Loveland in Colorado in a few days thanks to a timely business trip. I won’t post a screenshot of their webcam as it would just be cruel; they already have had 90 plus inches of snowfall. I will post this though, aside from the excellent webcam selection available on this site I also keep an eye on the NFS Dolly Sods Wilderness cam (http://www.fsvisimages.com/fstemplate.aspx?site=DOSO1) to see how things are at the Canaan Valley region of WV. 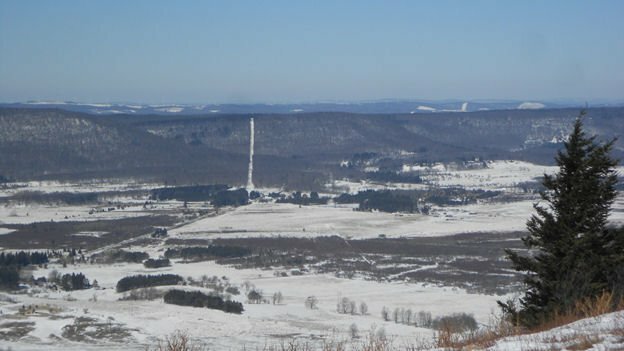 Love to see the temps in the low twenties and look at Timberline on the left and Canaan Valley Resort on the right, starting to look nice. Now if we could sprinkle some natural white on the trees there in the foreground and I may take to the road. Let’s look forward to something more like this next photo that I took – looking back across the valley from the opposite side after some good storms last year. And the sooner the better. 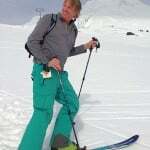 Two other hopeful things have come my way: Joe Stevens first column of the season is keeping the positive vibe alive for what still should turn into a good season (it sounds especially good for those of us who like to chase major storm events) and I have a new resource for perusal and planning, again thanks to a SkiSouthEast contributor, Randy Johnson. I just got his book Southern Snow which is – to say the least – a thorough examination of all activities combining mountains and winter in this region. I love scheming over new places for me to try out and with a pretty good touring set-up I hope to make some further strides this year and his book has already turned me on to some new possibilities. Anyway let’s enjoy the efforts of our local snow makers for now and ignore the selfish little whelp (appropriately named El Nino) in the corner. No more treats or attention for him until he stops hoarding all the snow. Be sure to email us your thoughts about “SkiSoutheastTV“. Should we do it? If you don’t know what we’re talking about, READ THIS STORY and comment. Also be sure to sign up for our newsletters. It’s FREE and easy. Click in the signup to the right. 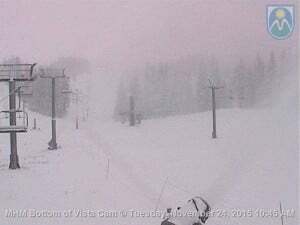 Previous articleUp to THREE Resorts Open Today. More Coming Online this Week!